No other aircraft of WWII could fly as high, go as far, or fight as hard as the famed Mustang. Piloted by a record 281 Aces, this agile and ferocious dogfighter tallied more kills than any other Allied airplane. 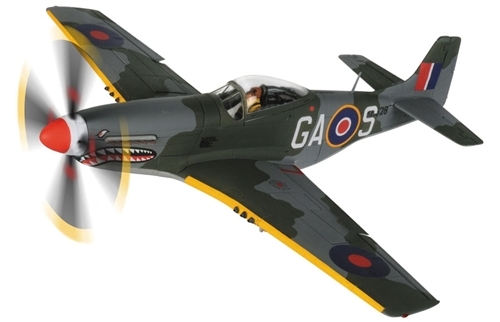 As the bombers of the Eighth Air Force fought their way deep into Hitler's Germany, it was the Mustang that cleared the skies of Luftwaffe fighters.